“Guests are invited to come and enjoy a languid afternoon on our wraparound balcony, where you become one with nature with our prized vineyards right there in front of you. 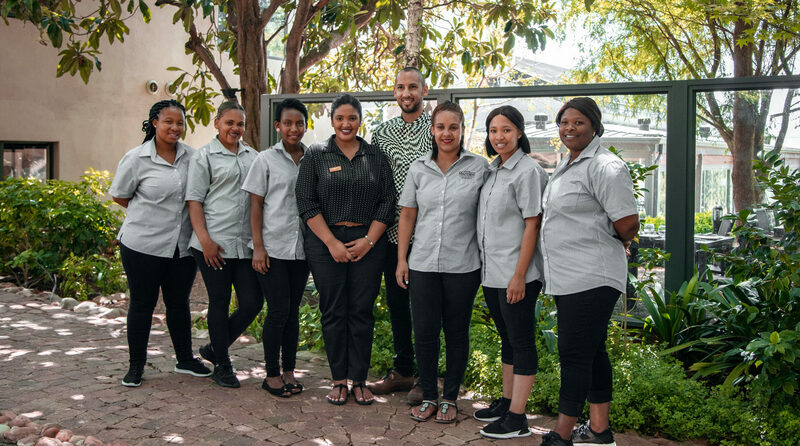 We have all the right ingredients including award-winning wines, a diverse, world-inspired menu and priceless views, to get your groove back for the week that lies ahead,” shares Michele who describes her style as fuss-free outer-city dining. 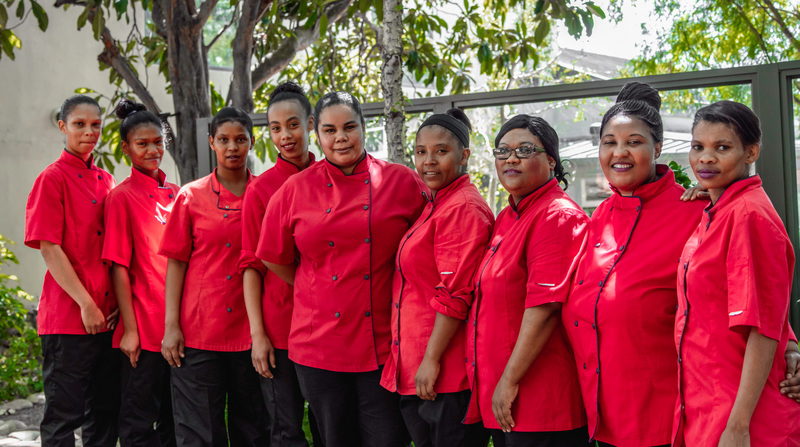 Our popular Winelands destination has developed a devoted following since 2009 for its fresh, seasonal and easy, contemporary cuisine prepared by Executive Chef Michele and her team of expert chefs. Our popular Winelands destination has developed a devoted following since 2009 for its fresh, seasonal and easy, contemporary cuisine prepared by Executive Chef Michele Beirowski and her team of expert chefs.The interior of the restaurant is stylish yet without any airs and guests can enjoy a wine tasting at the comfort of their own table prior to their lunch. If you like what you taste, Clos Malverne can deliver the wines straight to your doorstop via their online wine sales facility. As our slogan states, “The Food & Wine Experience“, we’re all about exciting food and wine combinations. Living up to this notion, we were the first wine estate in Stellenbosch offering a unique tasting experience in the form of our “Ice cream & Wine Pairing”. It has since become one of our signature pairings with seasonal, hand-made delicacies. Join us for our signature Winter Ice Cream Pairing at R98.00 per person. Please note that telephonic booking is essential for the Ice cream & Wine pairing and that this offer is not available on a Sunday and Monday. Michele, who describes her own cuisine as ‘world food with an earthy sophistication, cooked from the heart and presented with perfection’ eschews the elaborate and creates sumptuous yet unpretentious food, simple in structure yet complex in flavour, texture and colour. “You won’t find deconstructed dishes, molecular gastronomy, or bite size plates of art on my menu, rather expect a fusion of full flavoured, classic contemporary creations from across the world. 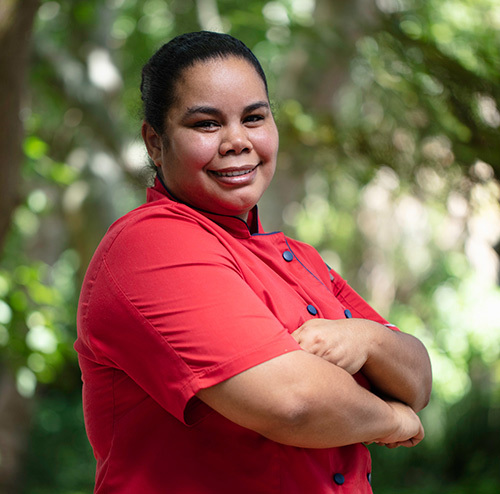 My dishes seem to appeal to all different nationalities and palates because they are so diverse,” explains Michelle. Need a venue for your special birthday party or to brainstorm your next business venture away from the lacklustre boardroom? The Restaurant @ Clos Malverne is a stylish extension of the Pritchard Family’s hospitality, welcoming intimate private affairs at the restaurant. With its stunning setting and awe-inspiring views of the picturesque valley and rolling vineyards, the restaurant is also the perfect host for your wedding reception on your big day. This evening of sheer gastronomic delight is ideal for food and wine lovers who enjoy a value for money, unhurried dining experience and includes a glass of matching Clos Malverne wine with each course as well as a welcome drink on arrival. Join us every last Friday of the month.